Today I’m thrilled to welcome Liz from Liz’s Early Learning Spot! 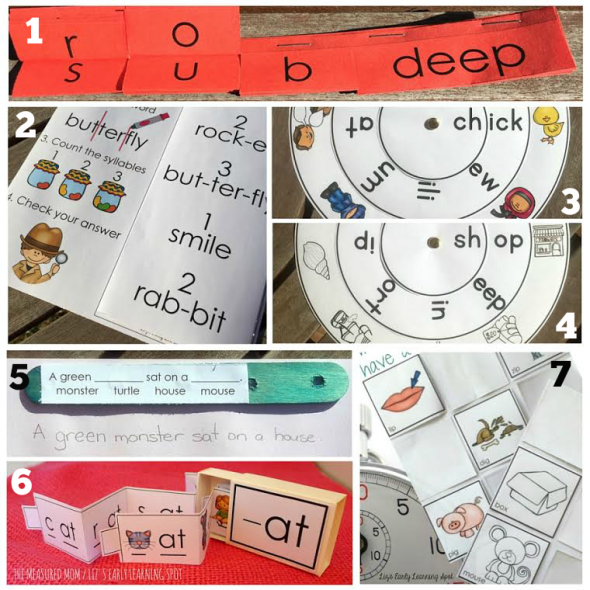 On her site, Liz shares research-based information about early education, along with amazing (and often free) printables. Be sure to follow her site for a wealth of useful information and resources! Her “only have a minute” series is very popular on my Facebook page. She’s sharing fourteen of them today! If you’re looking for creative math and literacy activities your kids can do on their own when they literally only have one or two minutes, this series is a great place to start! How many times a week do we find our kids standing around waiting for lunch, or to go out and play, or for others to finish their work? As a teacher, I found that those tiny bits of time really added up over a week. That’s why I created this when you only have a minute series. 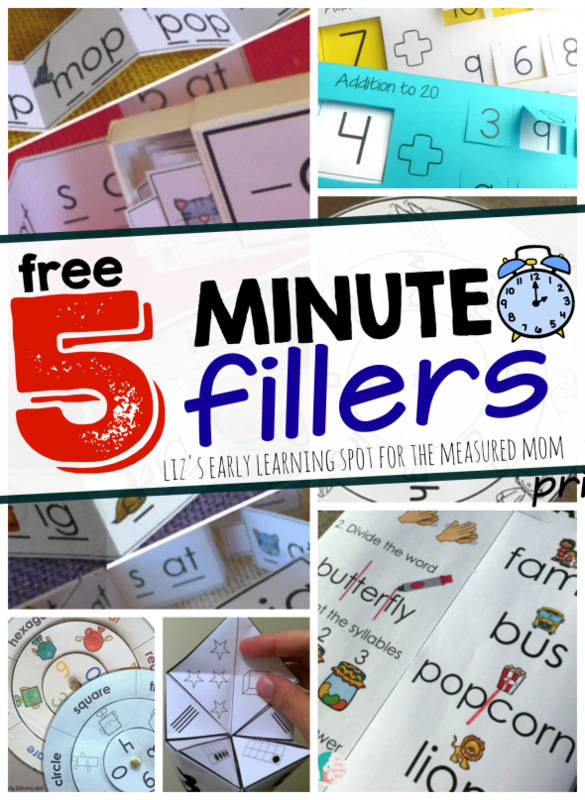 Your child or students can do these free printable activities in fewer than five minutes! 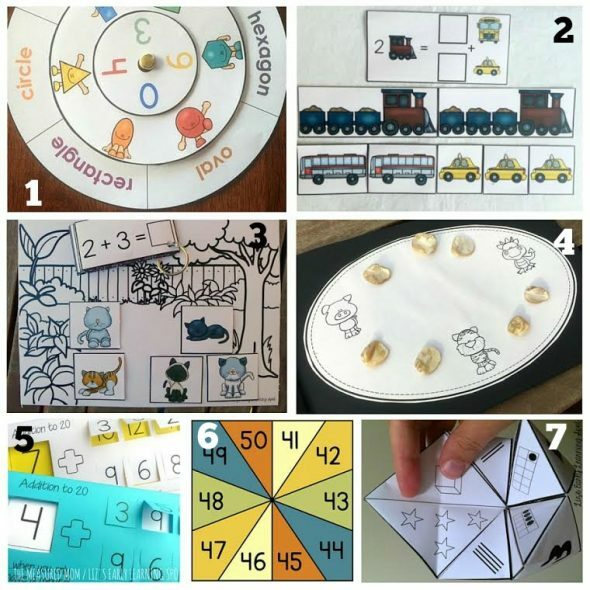 Focusing on essential math and literacy skills for early learners, these activities were designed so that if they’re kept nearby children can pick them up, engage with the activity, then pop it away all within a minute or two. They can do this by themselves, or even better, pair up and learn together! A new activity is created each month, so this list of free learning printables will keep growing! Sound Substitution: Flip the vowel sounds to find new and pretend words. Syllables: Break down these words into their syllables… there are 50 words to work with! Ch- Words: Match the pictures and words with this ch- word wheel. Sh- Words: Match the pictures and words with this sh- word wheel. Writing: Create 28 sentence sticks and choose words to create tons of silly sentences. CVC Words: Practice CVC words with these tiny word strips you can store in a matchbox. Rhyming: Play memory and other games with these rhyming cards. 2D Shapes: Match the shapes, their names and number of sides. Measurement: Use the transportation pictures as non-standard units of measurement to complete tasks and compare lengths. Number Stories: Use the dogs and cats to create number stories and complete the tasks. There are 10 cats and 10 dogs so the stories can go up to 20. Number Bonds to 10: Add manipulatives to the animal pictures to create 10. How many manipulatives did you need? Addition to 20: Add the flap number to the first number to find the answer. Then flip up the number to check your answer. Counting On to 100: Spin a paperclip, name the number landed on, then say the following three numbers. One spinner for each group of 10 numbers. Learning Numbers 1-12: There are 3 Cootie Catchers to cover all 12 numbers. Each contains numerals, tally marks, ten frames and groups of objects for each number. 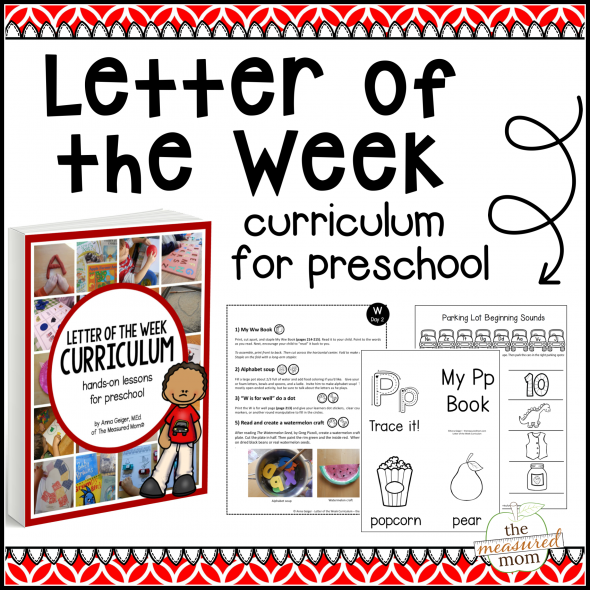 I hope you find these learning activities helpful for your little ones! I love these “fillers”. They are perfect for when we are lined up waiting for lunch…always keeping their minds thinking. Thanks! You’re welcome – Liz does such a great job with these! I entered the giveaway. I hope I win! Oh by the way…..I love your book the ABC’s of Preschool. I use it daily! Thanks. Yay! I’m so glad to hear that’s a useful resource for you! These are fantastic! I am so excited to start using them. Thank you, Kerrie! Liz make such wonderful printables. I think these activities are fantastic and high interest. My students love to get your games in front of them!!! I’m so glad you like them, Beth!